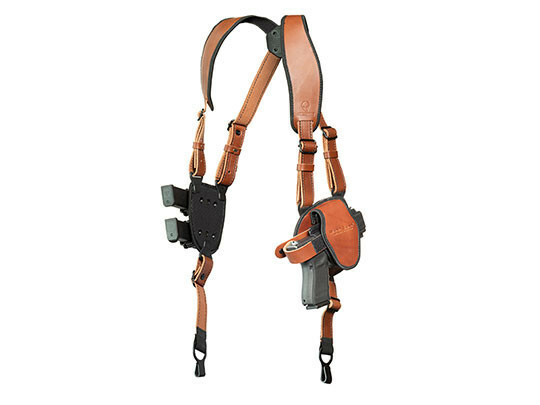 To carry well with a S&W SD9VE shoulder holster, the holster has to be comfortable enough to carry for extended periods. Otherwise you won't want to carry with it. That requires both comfortable materials and a good fit for you. 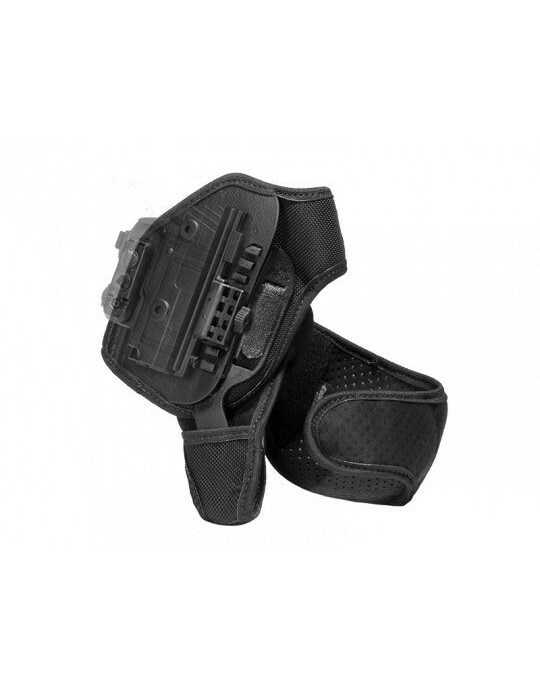 You also need to be confident in using your shoulder holster for SD9VE pistols. This requires good fitment of the pistol and good retention. Some might prefer active retention, and others may not. 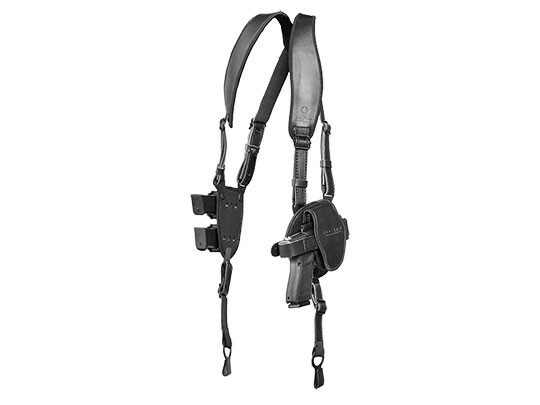 And we have just the SD9VE shoulder holster for you. The straps are joined via a clover harness, articulating to sit naturally on your shoulders. 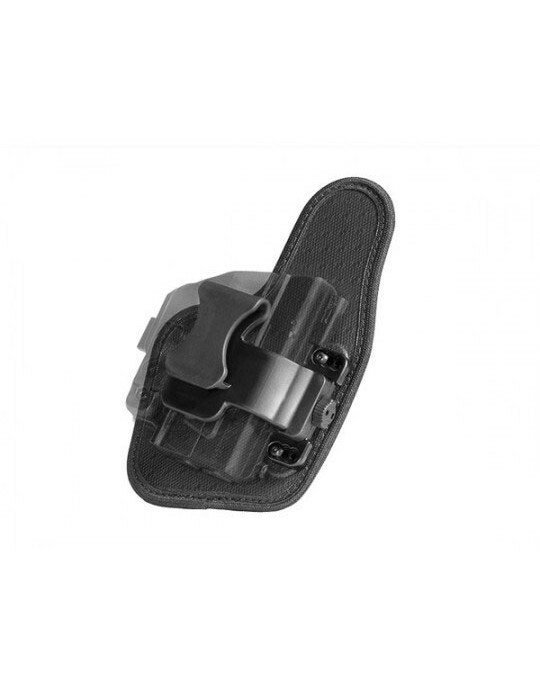 The straps on our SD9VE leather shoulder holster are also padded with our CoolVent neoprene for greater comfort. 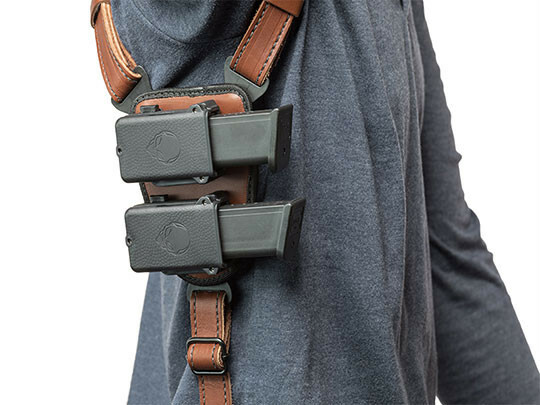 The straps are also adjustable, so you can find the perfect setting for extended carry. 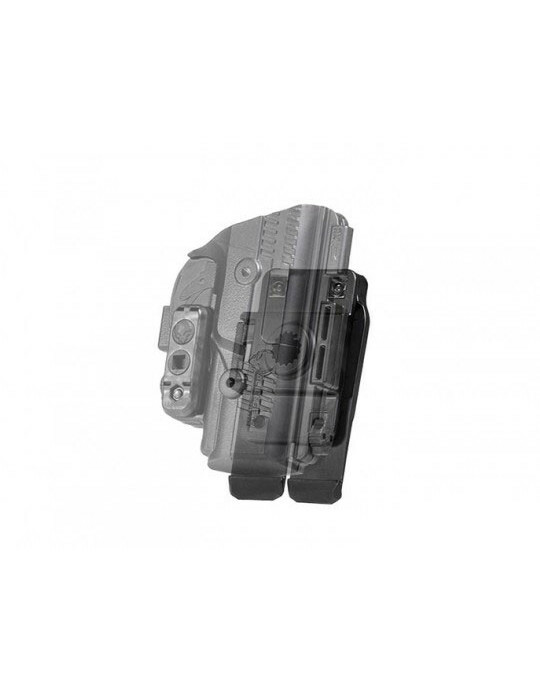 Ride height and grip cant of the holster is also adjustable, so you can carry horizontally, at an angle or vertically if desired. 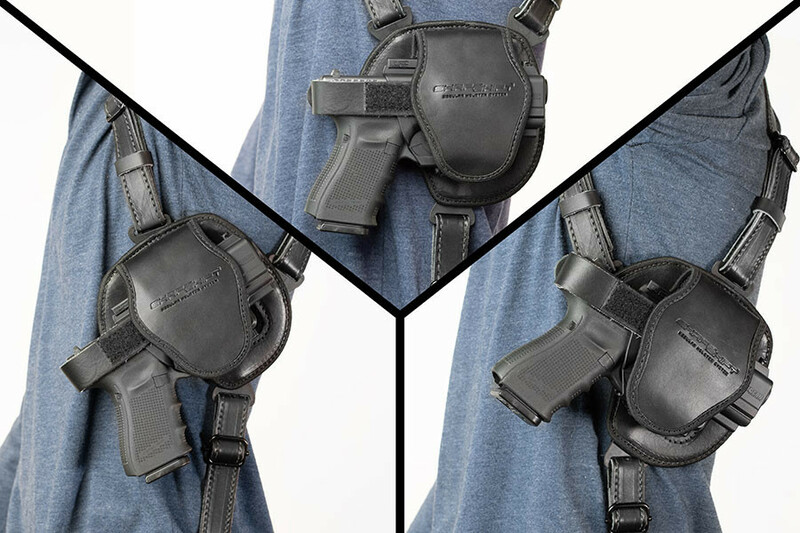 The straps terminate in belt hooks, which anchor the shoulder holster for a secure carry and the gun tight to the body, making concealment easier. 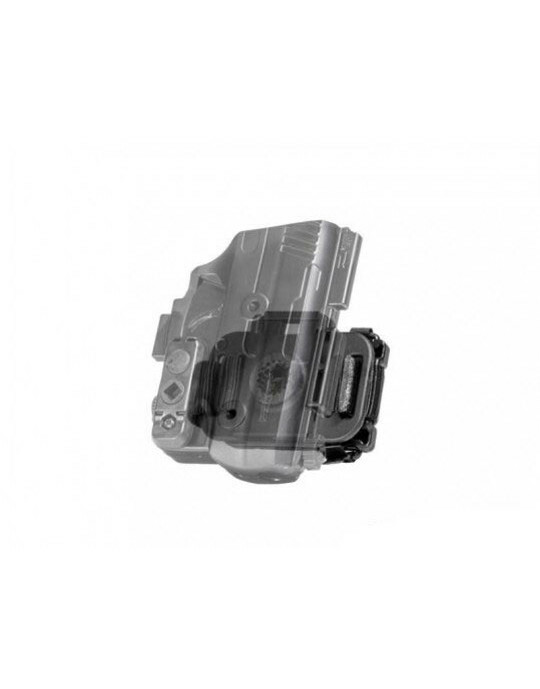 You'll also notice the custom fitment, as the ShapeShift shell is custom-molded for the SD9VE. 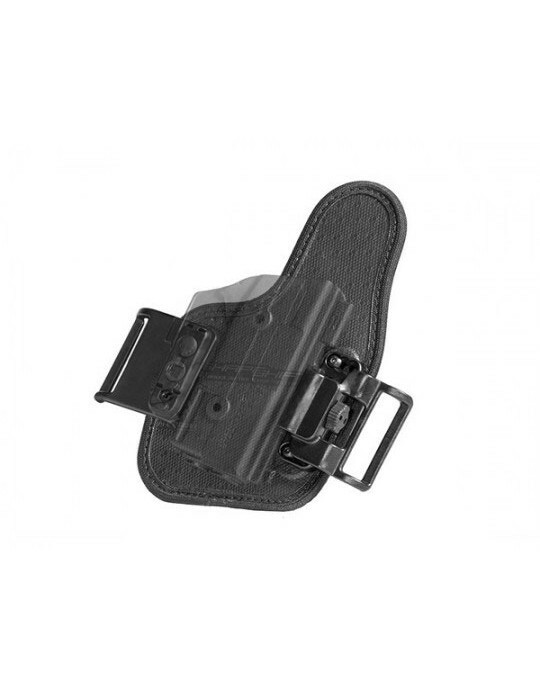 Dial in passive retention as you like it, and carry with or without the included thumb break strap. It's all up to you. 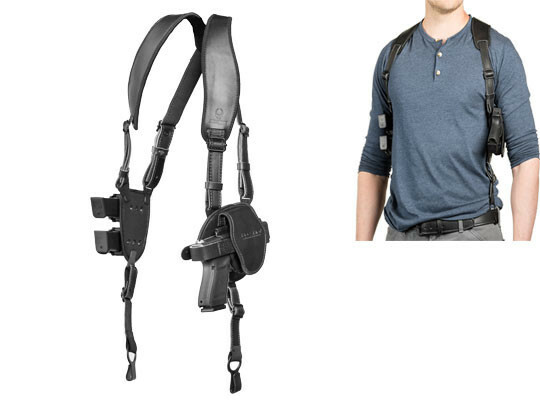 Wonder if you've finally found an SD9VE shoulder holster you can actually carry with? Take 30 days to make up your mind. 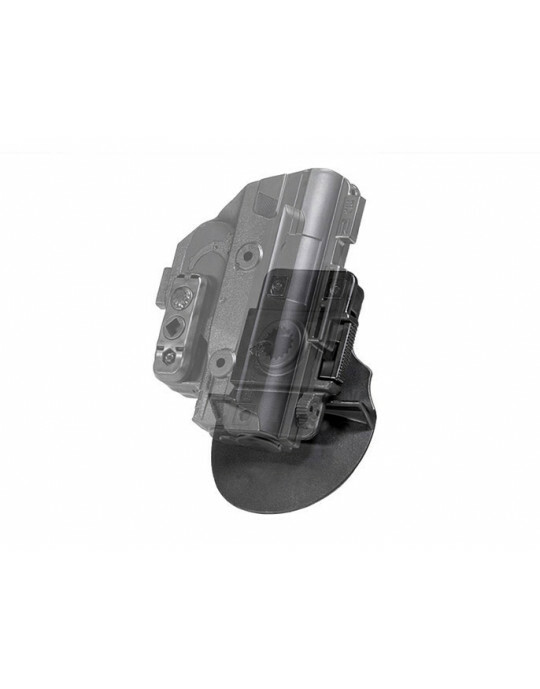 A 30 Day Test Drive trial period is included in our Iron-Clad Guarantee, which also includes a lifetime warranty on the holster itself. 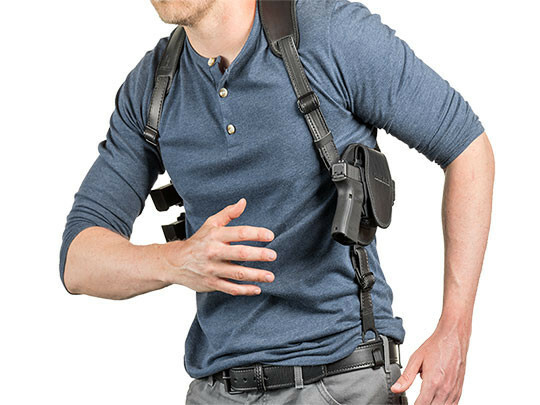 Want to find out just how good shoulder carry can be? Start your Test Drive and find out!